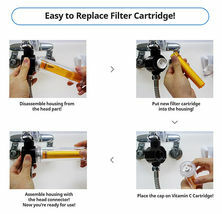 This item is selling for $64.49 on eBay. 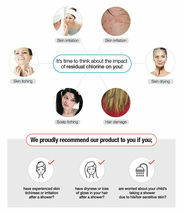 Did you know there are potential risk factors while you taking a shower with chlorinated tap water? 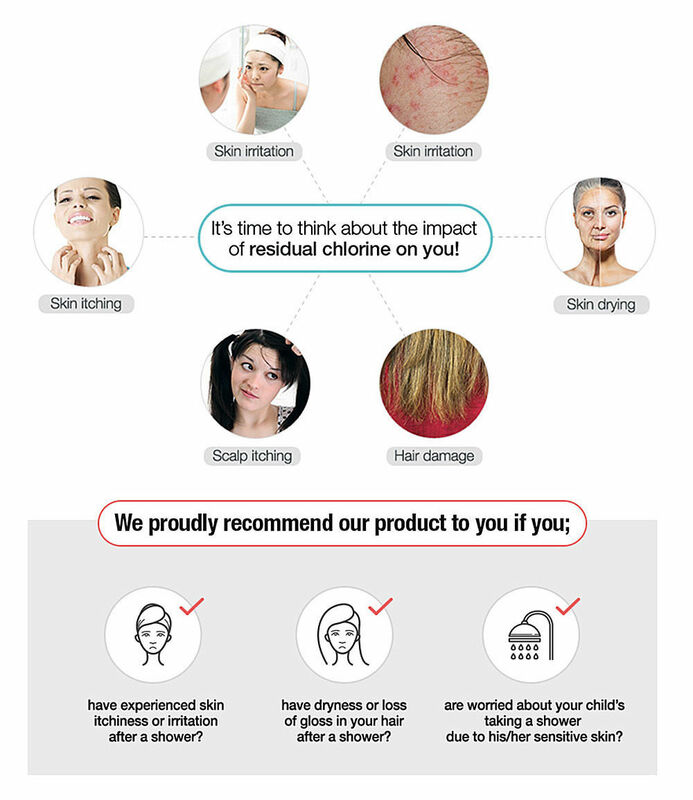 Chlorine reaction may include itchy, red skin, irritation, drying skin and hair damage. 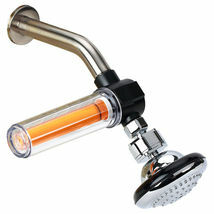 This new advanced shower filter removes residual Chlorine and Chloramines up to 99.9% from your shower water. 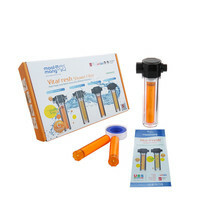 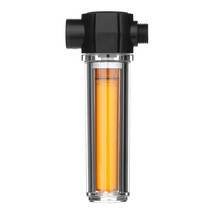 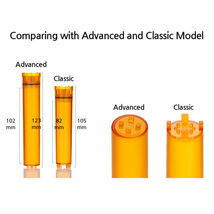 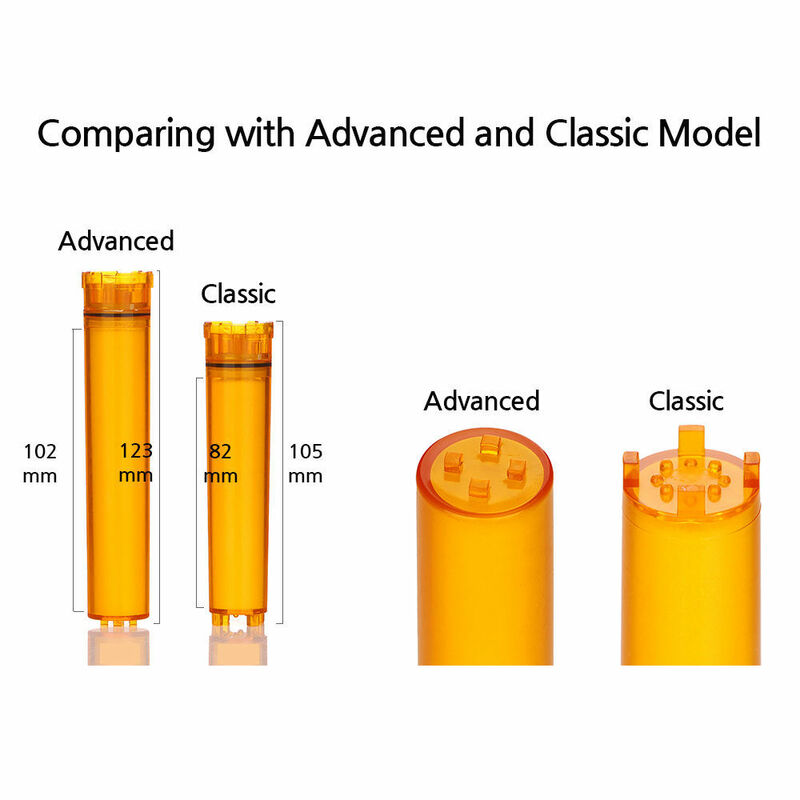 This shower filter includes 2pc of longer, bigger and newer advanced Vitamin C filter cartridges and will last 3200 gallons of water use than classic model and using Vitamin C as de-chlorinating agent of 100% pharmaceutical food and Non-GMO grade. This shower filter holds design and apparatus patents. 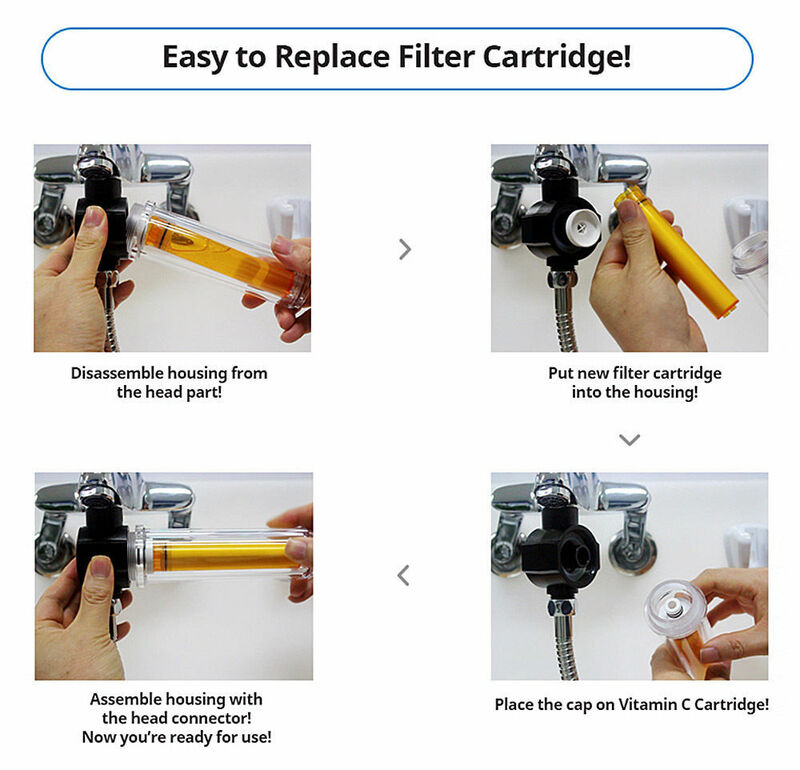 And, clear housing design is able to see filter working and making it easy to know when have to change the filter cartridge. 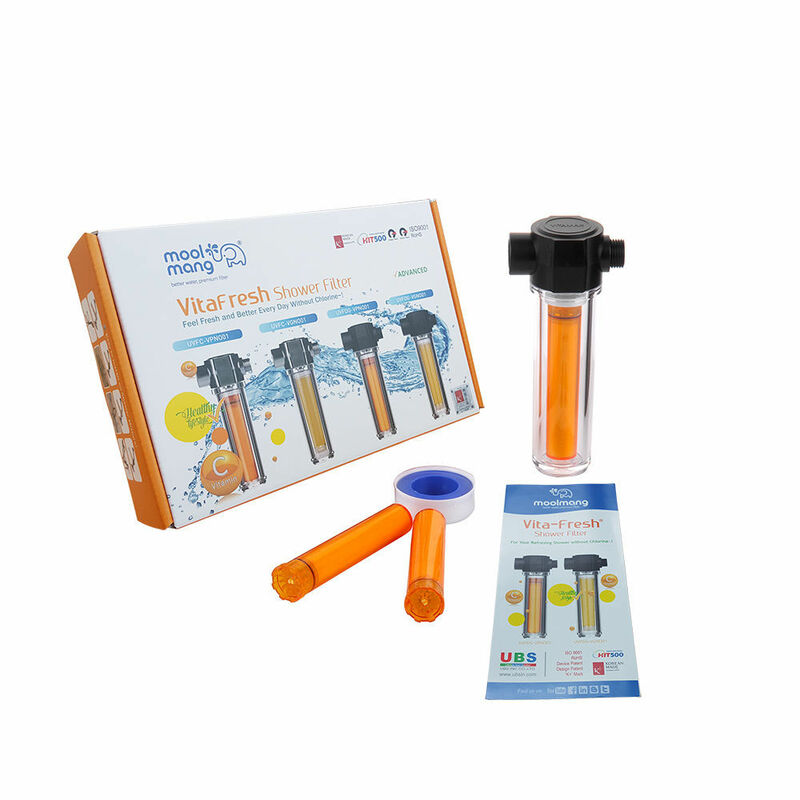 Also, it is proved and tested for Vitamin C releasing to remove chlorine from shower water and RoHS and acquired K+ mark from Korea International Trade Association. 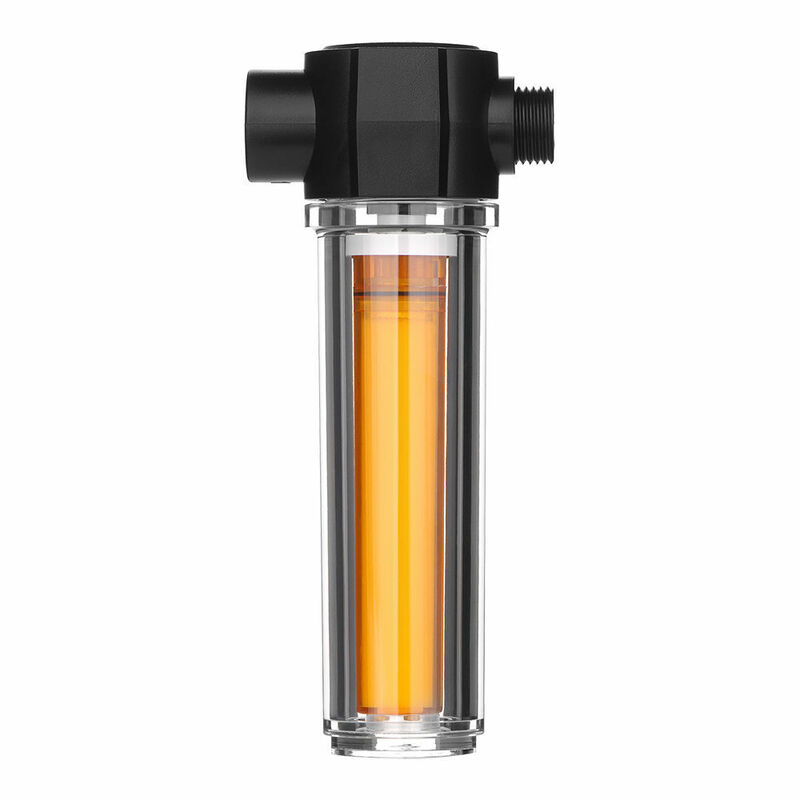 This new designed and advanced Vitamin C inline shower filter easy to install on your existing shower head of overhead and hand held type.